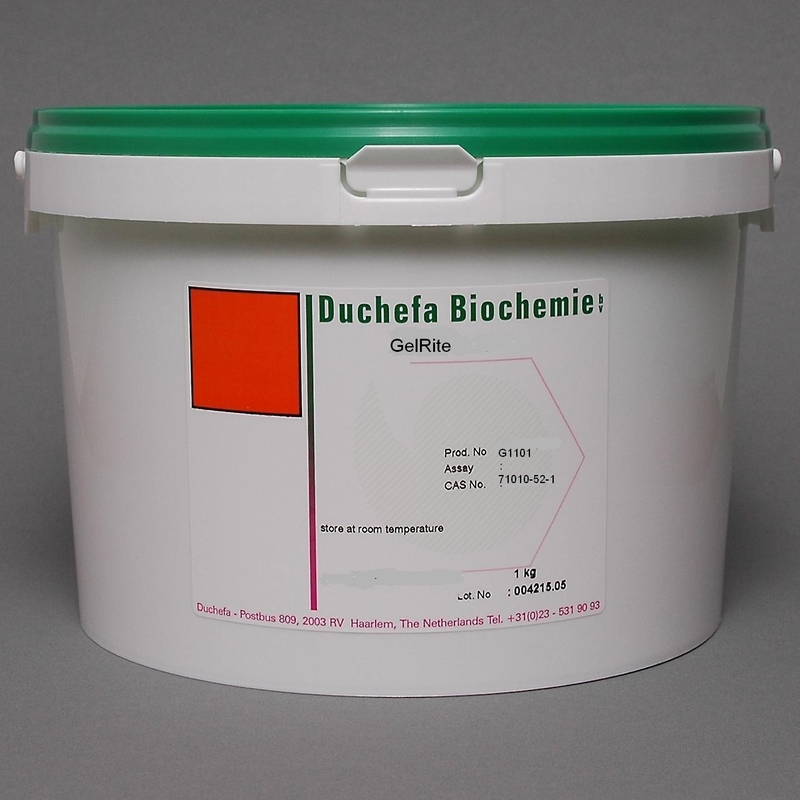 Gold Biotechnology provides premium, high quality agars and agar substitutes from DuChefa Biochemie B.V. These agars and gelling agents are highly purified and certified to be free of compounds that are known to be toxic to select, sensitive organisms or compounds that impede plant cell growth. Our agars have high gel strengths which correlate to lower concentrations and overall savings as well the guarantee of Duchefa brand quality and standards. GoldBio Plant Agar is the preferred choice in Plant cell and Tissue culture as a general purpose agar and combines good quality with a favorable price. Agar is derived from red algae and is comprised of a mix of large polysaccharide agarose molecules and smaller, heterogeneous molecules called agaropectin. Plant agar can be used in a minimal concentration of 5.5 g/l to to obtain a solid gel.